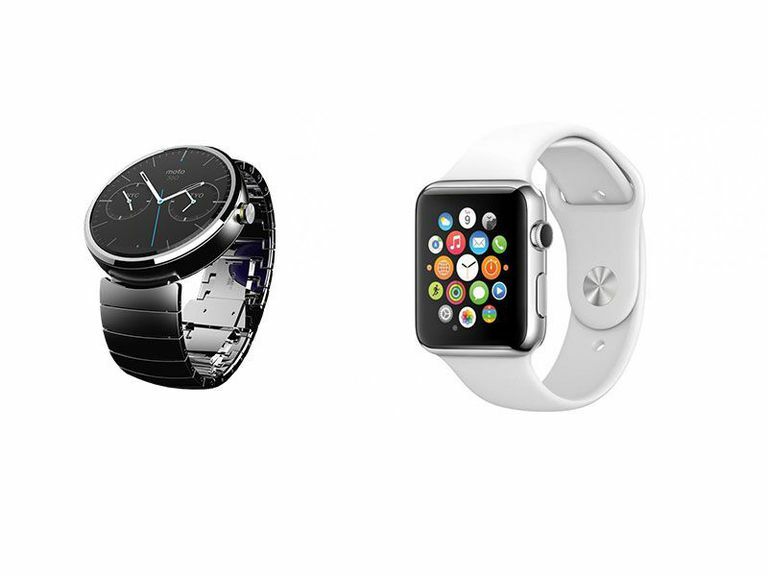 Comparing the Top Two Wearable Platforms. So you want a smartwatch but aren’t sure which one to choose. Step one in your shopping journey should be deciding on a wearable operating system. While there are several devices running their own proprietary software, the dominant smartwatch platforms are Google’s Wear OS (formerly Android Wear) and Apple’s Apple Watch UI. First thing’s first: To get the most out of your smartwatch, you’ll want to make sure it works with your smartphone. Smartwatches pair with your phone via Bluetooth to bring notifications and other functionality to your watch display, and this only works when the devices are compatible. If you own an Android handset, you’ll want a smartwatch running Google’s Wear OS to reap the benefits of at-a-glance Google Now notifications on your wrist. Similarly, if you’re considering the Apple Watch, it really only makes sense if you have an iPhone (version 5 and later). Wear OS draws heavily from Google Now, the intelligent “personal assistant” that delivers up-to-date information on the weather, your commute, your recent Google searches and more. If you own a Wear OS smartwatch, you can expect context-based updates to pop up on screen. Plus, navigating the Wear OS interface is easy; you simply swipe to move from one screen to another. The Apple Watch UI is quite different than the Wear OS interface. For one, the home screen displays the time as well as your installed apps (represented by bubble-shaped icons). It's an attractive and colorful setup, though it might look too busy to some users. To jump into an app, you simply tap on its icon. To get back to the home screen, you press the “digital crown,” a nub on the side of the watch face that can also scroll and zoom in and out of on-screen content. Like Google’s Wear OS, the Apple Watch interface incorporates swiping for easy, at-a-glance info and updates from your apps. Incidentally, Apple calls this feature Glances. To view them, you swipe up on the watch display. From there, you can swipe through various notifications or tap one to go into an app for more information. Wear OS offers support for a slew of voice commands that work as shortcuts on your smartwatch. You can set reminders, send short text messages and pull up directions. There’s no built-in speaker, but you can technically answer a call from the watch. With the Apple Watch, you can reply to messages via voice dictation, and you can ask Siri questions just like you can on the iPhone. You can even have a quick call thanks to the built-in speaker, though the jury is out on how well this works. Both Wear OS and the Apple Watch have plenty of compatible apps, and the number will only continue to grow. There’s a dedicated Wear OS section in the Google Play store, and here you’ll find Amazon and the popular running app Strava. The Apple Watch has many high-profile apps in its arsenal, including one from Starwood Hotels that can be used to open your hotel room. With the American Airlines app, Apple Watch users will be able to scan boarding passes from their wrists. Both platforms have their strengths and weaknesses. As of now, the Apple Watch supports more of the apps you're likely to use, and it offers a unique, visually striking interface. Google's Wear OS, on the other hand, has a cleaner look and a wider variety of voice control options. If you're ready to purchase a smartwatch, ultimately it comes down to which smartphone you already own and which features matter most to you. In any case, expect to see improvements on both platforms down the line.